I didnt get it.....its a real picture! It is funny how playing with this stuff changes the way one looks at pictures. I'm not sure it's a good thing - I wonder how much simple appreciation I lose by getting too analytical. Oh, trust me, I do that all of the time - it drives my family insane when I verbalize it . You can find a lot of crazy real stuff. 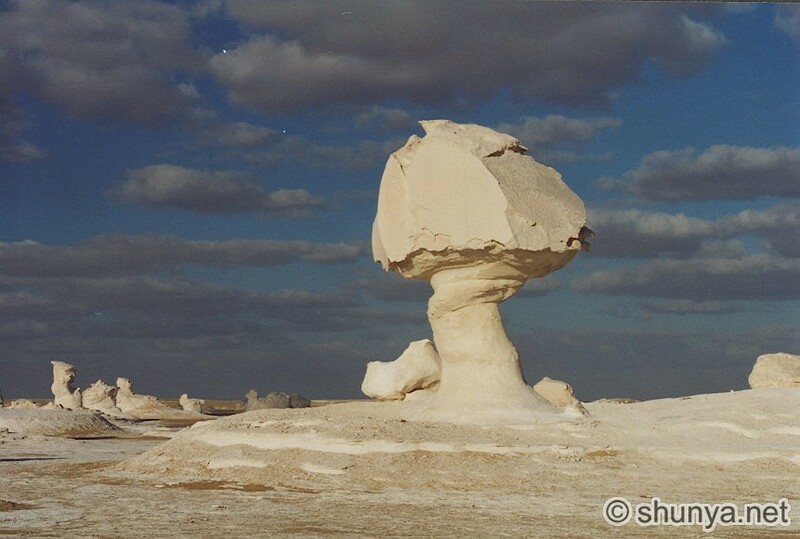 This one is from the White Desert Egypt. I see the pictures in my browser. Actually, I'm unsure if I should insert these images to show directly in my message or post a link because obviously they're not mine. Although the original location can still be found. I think we should have a forum area for reference stuff. dhavalmistry, I can't see anything where you linked to.